DALLAS -- At a recent meeting of the Parker College of Chiropractic Board of Trustees, the board unanimously decided to "relieve Dr. W. Karl Parker of his duties as president of the college effective immediately." Though the board agreed to honor the balance of Dr.
Parker's contract through its expiration in May 1999, Dr. Parker tendered his resignation. Dr. Parker, the fourth President of Parker College since it officially opening in September 1982, held the office since September 1996, when he succeeded his father, the late Dr. James W. Parker. A college news release praised Dr. Karl for "helping to continue the excellence in chiropractic education at Parker, including overseeing the review process by the CCE that resulted in the maximum seven-year re-accreditation." This "reminds me of my Dad's termination from the same college less than two years ago," said Dr. Parker. "We have talked about my following in my Dad's footsteps, but I sure didn't intend to follow this closely. "I was bound by contractual obligations which prevented me from disclosing the events leading to this termination and my subsequent resignation," explained Dr. Parker. "I chose to resign from the continuing payout of my contract so that I would be released from my contractual obligations of my silence regarding this matter." The "matter" that Dr. Parker refers to is a basic disagreement between Dr. Parker and the board on how the school should be run. The board's action, according to a Parker press release, was "Dr. Parker's unexpected statement that he did not intend to renew his contract"; that Dr. Parker was unwilling to work within the college's management structure; and that he was frustrated with the academic environment and the various restrictions of Parker's nonprofit status. The crux of the disagreement began, according to Dr. Parker, in April 1997, several months after his initial contract period as president had passed. "I was surprised when the board offered me a totally different 21-page, single-spaced contract presented by the board's attorney, Mr. Ray Green. I was told it was a take it or leave, non-negotiable contract. This left me in a very precarious position since Parker College now owned the Parker School for Professional Success/Sharing, the organization I have devoted my life to, and being terminated would have extracted me from my life's work as well as from my new-found love and dedication to the students and faculty of the college. "Generally, the contract offer cut my compensation by 30%, the length of the contract (I had expected three years) by 66% and stripped me of my authority over personnel and the budget, as well as my overall CEO authority by 80%. There were no reasons officially given for offering such a drastic contract change. I waited until the board meeting that occurred in the middle of April to appeal to the board on just a few of the issues. 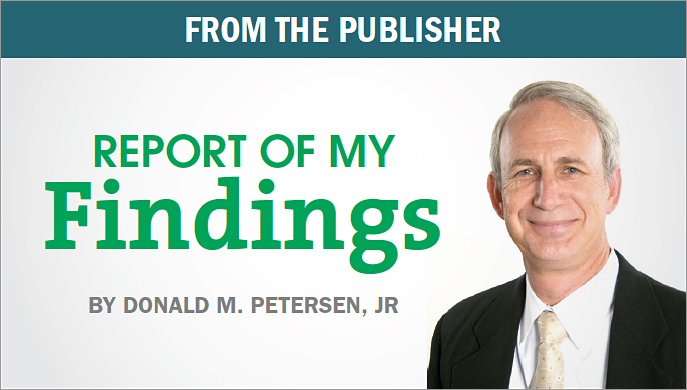 It didn't matter if the board gave me any concessions or not; I felt I had to sign the agreement and would work from the inside to attempt to affect positive changes that I felt would be in the greatest interest of PSPS and Parker College. They did make a few concessions." One of the major stumbling blocks for Dr. Parker was the formation of Parker's Chief Executive Committee (CEC). There seems to be some contention about who initiated the CEC. The press release from the college contends the CEC was "initiated by Dr. Karl Parker as an informal group of advisors to the president." Dr. Parker says he "objected to the entire concept." In any event, the formation was in the CEC contract, which Dr. Parker signed. The formation of the CEC, Dr. Parker averred, "essentially replaced the usual authority and structure of a standard CEO type of academic organization." Each member of the CEC was to get one vote. As a concession to Dr. Parker's objection to forming the CEC, he was given two votes. Dr. Neil Stern, the executive vice president of Parker College since 1987. Dr. Paul Jaskoviak, vice president of the school for advanced and related studies at Parker College since 1986. Mr. Anthony Boudreau, CPA, vice president of business affairs, who served as chief fiscal officer at Parker College (1988-1991) and again since 1996. Mr. Ray Green, Esq., vice president of development, and the college's general legal counsel since 1989. The other stumbling block between Dr. Parker and the CEC was the Parker School for Professional Success/Sharing (PSPS). "I became very concerned about what the eventual impact would be (of the CEC) upon the college, and felt it would impact PSPS much more so, due to the very nature of that organization," said Dr. Parker. Dr. Parker wanted the PSPS to be separate from the college, because "it was now being controlled by a committee of non-DCs and non-PSPS-trained DCs." "The law firm of Mr. Ray Green was absorbed into the college. Mr. Green was made a vice president of the college and given the departments of admissions, alumni and development, which had been under the office of the president; Mr. Boudreau, the CFO, was made a vice president; Dr. Paul Jaskoviak, dean of postgraduate, was made a vice president; two consulting and assistant positions to the president, including the seminar coordinator of PSPS were terminated; the rest of the presidential staff were transferred to other departments, with the exception of a secretary (all of this was without my knowledge or input); and it was decided to not entertain separating PSPS from the college and wait two years to see how it fared under its new academic and committee control. This generally left the office of the president with no direct authority within the institution except for the two votes on the CEC and a secretary. "If I believed by any stretch of my imagination that this structure would have been able to manifest my life's mission to perpetuate Dr. Jim Parker's vision within the college and PSPS, I might have been more amenable to perform my limited functions and 'sit back in my cushy job, enjoy life and the secure financial benefits,' a paraphrase that was suggested to me. But, I do not believe that is possible." Dr. Parker wants to pursue the possibilities of purchasing the legal ownership of the assets of PSPS from the college. "I believe I already own the wonderful, energetic "Love Concept" that Dr. Jim introduced to the world and intend on continuing to perpetuate that within the chiropractic profession to the best of my ability in any way I can for as long as I live." The Parker Board said it "remains committed to the mission of the college as it was developed by Dr. Jim, and ... believes a strong Parker School for Professional Success (PSPS) is necessary to continue the philosophy developed by Dr. Jim over his lifetime, and is committed to providing the strength and capitalization needed to meet that end." The board noted that "in light of Dr. Karl's intentions, it was time for a change to better further the mission." Dr. Neil Stern, the new acting president of Parker College, was in private practice from 1969 through 1987. He has been the executive vice president of Parker College since 1987. He was the acting president of New York Chiropractic College (1985-1987), following 14 years as executive vice president of that institution. Dr. Stern is most widely recognized for his expertise in school accreditation. Dr. Stern served as chairman, vice chairman and secretary of the Commission on Accreditation of the Council of Chiropractic Education prior to his appointment at Parker College. Dr. Stern joined Parker College at the personal request of Dr. James W. Parker, and spearheaded the effort to achieve original accredited status, which was accomplished in record time with both CCE and SACS.